Dr. Vadivelan M has obtained his MBBS and MD from Baroda Medical College which is affiliated to the M.S.University of Baroda. 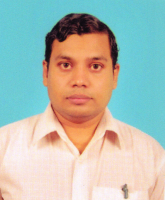 After completion of MD, he was working as Assistant Professor of Medicine at Baroda Medical College for a period of four years and eight months before joining JIPMER in June 2011.Life Member of the Association of Physicians of India(API) and Indian Association of Clinical Medicine(IACM). Medical Comorbidities in Patients with Alcohol Dependence Does Nicotine Matter?